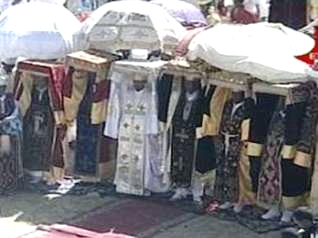 Many blessings to the Ethiopian Tehwado Orthodox Church in Celebration of Timket. This African version of Epiphany is perhaps one of the most lively celebrations of any kind anywhere in the world. Unlike the drunken revelries of Carnival or Mardi Gras which have been hijacked from their religious intent, Timket is welded to it’s Christian purpose. 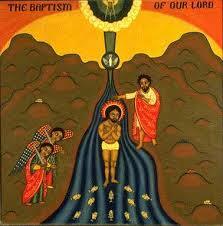 The worship of the Holy Trinity began with the Baptism of our Lord and Savior as all three persons were present. As the sinless Son of God had taken the washing from John, we too have faith that our sins are washed away through baptism and that we are to live as a people who have been cleansed. And that if we miss the mark, by our humble and sincere repentance, we are renewed and restored. This is a tremendous gift of salvation and a great reason for the faithful to celebrate! Many blessings to the Ethiopian brothers and sisters, to the Russians, Serbs, and other believers who follow the old calendar and celebrated Epiphany on January 18th & 19th.